Saturday 6 April doesn’t just mark the new tax year. I’ve been waiting for this day for months – 15 to be precise – as the government’s ban on excessive card surcharges finally comes in. 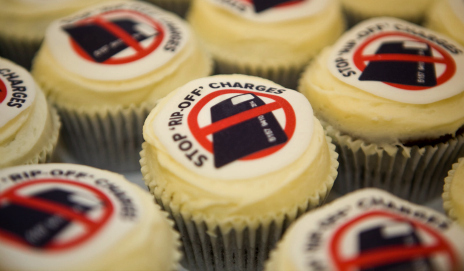 We’ve spent more than two years campaigning to ban ‘rip off’ surcharges. We launched a super complaint to the Office of Fair Trading and, with support from more than 50,000 of you, we’re happy to announce that ‘rip off’ surcharges have finally been banned. It means that, as of today, card payment surcharges should be limited to the cost incurred to the trader for processing your transaction. Gone are the days of paying a surcharge per ticket or per leg of your flight. There should be no more flat fees of up to £7 for buying a £50 item, and we’ve seen the last of excessive fees for paying by debit card. From now on, businesses will be required to prove that any surcharge they do implement is reflective of their costs. We estimate that processing a debit card costs traders approximately 10-20p, so we expect surcharges for debit cards will become a thing of the past. Credit card surcharges should be no more than 2% of the total cost of your transaction, so a surcharge on a £200 purchase should never be more than £4. Key industries like financial services and estate agents are excluded from the ban, while micro-businesses have been given until June 2014 to comply. But we are pleased that a number of companies have already made improvements to their surcharging policies ahead of the ban coming in. You’ve sent us thousands of examples of excessive surcharging over the last few years, and we’ll continue to keep an eye on the issue. If you find any examples of excessive surcharges after 6 April 2013, please report the guilty companies to us. We’ll let Trading Standards know about any companies breaching the new rules. And finally, we’d like to say a huge thank you for all your support for our ‘rip off’ charges campaign. I note the DVLA are still charging a flat rate £2.50 regardless of the actual cost of the tax disc. As of Sep 21 2017 the UK government (aka DVLA) are still charging £2.50 for credit card transactions. In my case this amounts to about 8% of the amount being paid. So much for the new regulations designed to prevent excessive charges for card transactions. Here is a link to the super-complaint and the OFT response. I wonder if the Fixed Means Fixed campaign to prevent mobile phone companies from raising monthly prices during a contract might be the basis of another super-complaint. Sorry to be off-topic. Just one clarification. Personal debit cards do indeed cost a pittance to process, but ‘Business’ or ‘Commercial’ debit cards are charged pretty much the same as credit cards, i.e. somewhere between 1.2% and 2%. I know someone who is very senior in the payment card industry, who confirmed that the cost of processing to them is exactly the same as for personal debit cards, and the reason for the higher charges is ‘because we can’. Also, Cardholder Not Present surcharges have been increased recently, so expect to pay a higher surcharge if you’re not there to enter you PIN. I’m a small business owner, and my card charges are entirely in line with the new rules. I don’t charge for personal debit card payments, and I charge 2% for UK credit and business debit cards, and 3% for non UK cards of all types. Some months I win by a few quid, other months I lose by a few quid. A trader must not charge consumers, in respect of the use of a given means of payment, fees that exceed the cost borne by the trader for the use of that means. Does this also apply to electricity and gas companies who charge a higher price for energy when the consumer doesn’t pay by direct debit (e.g. by bank transfer or debit card)? Clearly where the price of the energy is higher because of the payment method used, the difference in price exceeds the costs borne by the energy supplier. Interesting point, one I’ll happily put forward to my energy supplier as I pay more for pre-payment meters. We all forget the basic essence of a card transaction – it was to facilitate the seller to get more custom and the buyer the convenience of not carrying ready cash. Just as I, as a consumer cannot demand a commercial establishment – online or brick and mortar – to accept cards, similarly it is absolutely unfair to charge/demand any commission whatsoever to a customer as it is the establishment which had decided to accept such tranactions with a motive to make his business popular and accessible to as many as possible. The presnt action will stop the gross unfair trade practices, but in the long run, especially in online transactions, such charges are to be totally abolished. I support this point of view entirely, suppliers are free to decline payment by card if they want to, but must accept that customers have a right to go elsewhere if they do so. This is how it always was, and it is just greed and customer apathy that allows any supplier to get away with it. Its like buying an item by post that’s post free. Of course its not post free, but the customer knows the cost and decides whether to buy or not. I have no problem with a credit card surcharge because there is a significant fee for the transaction. The surcharge should reflect the actual or average cost of the transaction and not used to generate a profit for the retailer. I would like postage and packaging costs to reflect the actual cost too. I notice that Admiral insurance are still charging a £5.95 flat fee for payment by credit card. As I was paying premiums for two cars in one go, I didn’t mind as the fee was around 0.6%, much less than the value of the rewards given to me by my credit card issuer. Is insurance exempt as “financial services” and why did the government decide to exclude financial services from the legislation? I’ve found the answer to my own question. Regulation 5(2)(d) excludes insurance from the legislation. Why did they make such an exclusion? It makes no sense. I get charged a 7% fee on credit/debit card transactions by an estate agent – will this new ruling change that? You need to look at the exemptions because there are a lot of sectors that are totally exempt. I imagine the law will have an effect particularly on big businesses. As someone who is meant to be enforcing these Regulations I imagine our department will do little if anything – we simply have too much other stuff. The legislation itself is worded badly and opens up for massive debates between a business and regulators. What if we don’t agree with what a business is charging? Are we going to spend a lot of man hours going through all of their accounts trying to work out what processing payments costs? The law can only be enforced through the civil courts and that costs a lot of money. Whilst the addition of the law is a good thing the Government should back it up with enforcement staff funding. They could also add in penalties – why not make a minimum fine for those found flouting the law? One thing, civil courts are not expensive… To initiate proceedings defend in them. I believe to get a case through the civil courts we have to hire external solicitors as Trading Standards are not (currently) allowed to represent themselves in civil court. Therefore that is an immediate concern when considering civil action. I very much doubt taking enforcement action through the civil courts is the same as a simple contractual dispute. Therefore if a retailer refuses to refund an excessive surcharge, you could issue a County Court claim and recover both the surcharge and the £30 court fee from the retailer as a straightforward breach of contract. The individuals right to claim their money back is a separate part of the law. If a trader is prepared to ignore this regulation, they are likely to ignore others. Do you still want to do business with them, even after they have been forced to comply by the courts? What this does is make it clear to legitimate traders that the practice of enhancing their profits through excessive transaction charges is no longer acceptable. Seek out those traders and give them your business. It is only because consumers are not discriminating in the first place that we get ourselves into these situations. If nobody was prepared to pay excessive surcharges for credit cards there would be no need for this latest action. Mobile phone companies charge too much money for international calls because there are enough stupid people willing to pay the prices charged. That doesn’t really work. In many cases, the consumer has already invested considerable time in researching a product, only to be confronted with a payment surcharge at the end of that time-consuming process; it is a form of drip-pricing. Many will just give up and pay the surcharge. The legislation gives the consumer the right to reclaim any excessive surcharge paid. If all consumers took action against the offending retailers instead of simply avoiding them as you suggest, then it would stamp out the practice quickly. The “can’t be bothered” approach does little to change retailers’ behaviour. I see little chance of getting the public to reject excessive surcharges en masse. Individuals can take action by boycotting companies or looking for ways of avoiding these charges. For example to avoid debit card surcharges I have paid by cheque or cash. I don’t want to do this and I invariably whinge about it, but there is a matter of principle and no point in wasting money. It only needs a significant minority to claim back charges through Regulation 10(b) to cause problems for these retailers. Many such retailers operate on an automated basis and the need for constant human intervention to refund excessive surcharges would make it more trouble than it’s worth for them, particularly if each case gets as far as a Court Claim claim. If the mobile phone companies were worried about human intervention they would not be putting up prices mid-contract and having staff deal with a large number of hostile customers. It would be great if we had more people who are prepared to invest more time in making Court Claims but I suspect that those prepared to do this would be the ones who manage to avoid paying surcharges in the first place. Maybe we need a philanthropist who would pay for Which? magazine to go to every household in the land or to fund a consumer advice programme on TV. Only when we get more people interested in consumer affairs will we stand a good chance of achieving effective and timely action against those companies that choose to treat consumers unfairly. Interesting – Before I started electronic transactions – I checked the cost of my transactions When I didn’t like the charges I changed companies – Worked well. That’s easier said than done when a retailer uses drip pricing, whereby the retailer adds to the original price of a product as the consumer goes through the buying process. OFT evidence suggests that consumers will often continue with a purchase in these situations because of the time and effort they have already invested in getting to that point in the transaction even though this may result in them paying a higher final price than they expected to based on the headline price and in comparison to what competitors are offering. 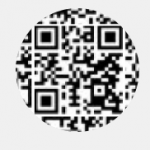 See https://www.gov.uk/government/uploads/system/uploads/attachment_data/file/32703/12-1008-consultation-ban-above-cost-payment-surcharges.pdf for a full explanation. I think we can probably all relate to cases of people being cheated by companies even if we are not the victims. Sadly, some will even defend what these companies are doing as sensible business practice. On page 5, it is confirmed that government departments such as the DVLA are excluded from the Regulations. On page 13 under “Aggregation and averaging of costs”, the guidance worryingly suggests that DVLA-style flat fees by commercial businesses on credit card payments would not fall foul of the Regulations. Therefore although the actual cost of processing a credit card payment is a percentage, a business could charge a flat fee as an average across all customers, irrespective of transaction amount. This seems remarkably unfair against customers with small transaction amounts, as will remain the case with the DVLA. I believe that BIS has misinterpreted Article 19 of the Directive, in that any costs should relate only to the transaction concerned (i.e. marginal cost + average fixed cost) and should not be inflated above cost in order to subsidise other higher-spending customers’ transactions. On page 13 under “Discounts for particular means of payment”, it covers energy suppliers and confirms that any discount or surcharge must cover the cost saving or cost to the supplier. Therefore a difference in the price of the energy consumed based on payment method would breach the Regulations. I hope that enforcement action will be taken swiftly against energy suppliers, nearly all of whom operate excessive differences is prices according to payment method. There is no reason for those paying by monthly standing order to pay more than those who pay by monthly direct debit for example. One could also argue, although less strongly, that those who pay by bank transfer on receipt of their bill should likewise pay the same as those who pay by monthly direct debit. I have yesterday paid the outstanding balance for my holiday with ‘On The Beach’ I was offered either 2.95% for creditcard or 1.95% for debitcard Customer service girl assured me there wasn’t a facility to pay by cheque and they were not breaking the law as they were going to start being fair with charges later this year. Its not a massive charge I admit but is it legal? Well done Which? – but I feel this is not the correct answer to the problem. There are two basic issues here. Firstly, the ability to pay a consideration is an essential element of any contract for the supply of goods or services. It is in no way avoidable or optional. It is up to the vendor to determine in what forms they will accept payment, but I can’t see why they are justified in surcharging ancillary forms of payment, simply because it costs them more to process that particular type of transaction. There is a very simple decision here that the vendor needs to make – do I accept cash, cheque, debit card, credit card, 30 day payment terms, etc., etc., or not? My face-to-face small business accepts cash or cheque, end of. I don’t add an extra item to my bills to cover the transaction cost of paying in cheques (around 60p) or me driving to the bank to deposit a wodge of notes. I don’t expect to go into a supermarket and see two prices for a tin of baked beans, one if I pay in cash, and another if I pay by credit card. So why is any surcharge necessary or justified, simply because I am dealing with a vendor on the Internet and they **choose** to accept credit cards as a form of payment? Secondly, as you point out, the overheads of accepting credit cards are typically 2% or less. If a vendor is working to such tight gross margins that they simply cannot bear such an overhead to accept extra customer business, they either do not have a viable business model or they are guilty of predatory pricing. As consumers, we should be questioning why no-frills airlines and holiday companies can’t afford to accept credit card bookings without charging an extra 2%. With such ridiculously low gross profit margins, can you really expect assistance or compensation when an Icelandic ash cloud grounds flights, or your hotel or cruise liner is found to be the source of food poisoning? And the cost of these unviable businesses going bust is paid for by you and me, next time we book a flight or holiday through a more financially-stable company, so don’t kid yourselves that these companies are doing anyone a favour. Their anti-competitive pricing model means they can’t even afford to cover the basic overheads of running a business – the ability to accept and process a consideration for services rendered. It’s not quite the same case, but what do people think about the theatre world’s universal (in my experience) practice of charging a “booking fee”? This is often charged even if you book over the phone or call in person at a box office. We recently bought stand-by tickets at “a leading theatre in Cambridge” at a face value of £15 each, only to be asked for a £2.50 “booking fee” PER TICKET. It’s odd, but if the tickets had £17.50 printed on them I would not complain (provided of course that this was the advertised price). Contrast with a leading Arts Cinema chain, who charge a flat fee of £1.50 for any booking over the Internet (any number of tickets) and charge exactly the ticket face value if you buy at the box office, whether by cash or credit card. They also have a loyalty scheme that waives the fee for members. Take a bow, Picture House Cinemas. Following the recent change in the law on 06.04.2013 I notice that Aer Lingus (I have to fly with them to my local airport in Ireland) are now charging an ‘Admin Fee’ of £14 to process debit and credit card payments? Is this overcharging (£14 instead of £2) for booking/processing a flight (we can’t pay via a free plastic method or cheque/cash) legal or illegal based on the new law? Has this and other companies got round the law by changing the label from ‘Surcharge’ to ‘Admin Fee’? We all know what the £14 is; it is a surcharge/charge/fee/cost for using the only payment method allowed, i.e. credit/debit cards. Also, the following statement from the Report ‘Rip-off’ Surcharges page on this website, i.e. Please note: booking fees, administration charges and other fees that don’t directly relate to processing payments are not considered ‘surcharges’ and have not been banned’, suggests administration charges/fees are not prohibited, am I right/wrong? I don’t mind paying the correct ‘Admin fee’ instead of being overcharged. Just rec’d my scooter Road Tax renewal in the post – £17 for the Road Tax PLUS £2.50 if you want to pay be Credit Card – this roughly equates to 15% which the Govt are not being charged by their credit card acquring bank. How does the Government get away with flouting it’s own rules! For some years I’ve subscribed to BBC Wildlife Magazine. The renewal is now through buysubscriptions.com which is a trading name of Immediate Media Co. The annual renewal this year is £33.70 by direct debit or £38.90 by credit card. In other words, a credit card charge of £5.20, or an astonishing 15.4%. That just beats Phil’s Road Tax rip-off!